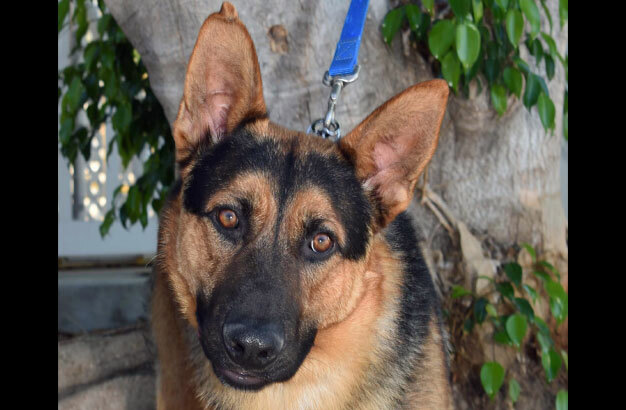 18 month old John Snow along with 3 others came from a dismal living situation in the high desert. We believe they are siblings. 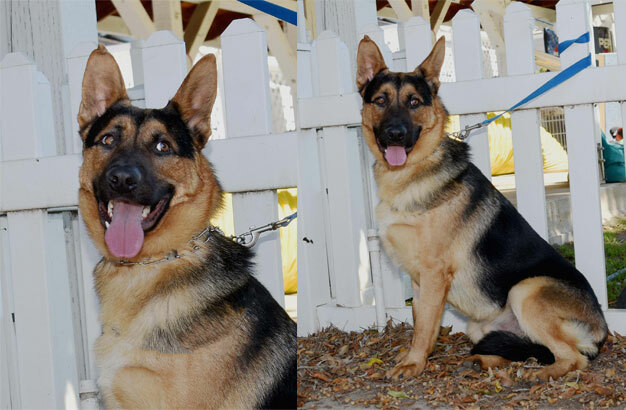 The owner had too many dogs on the property and asked GSROC for help. John Snow has spent the majority of his life in a quieter environment. 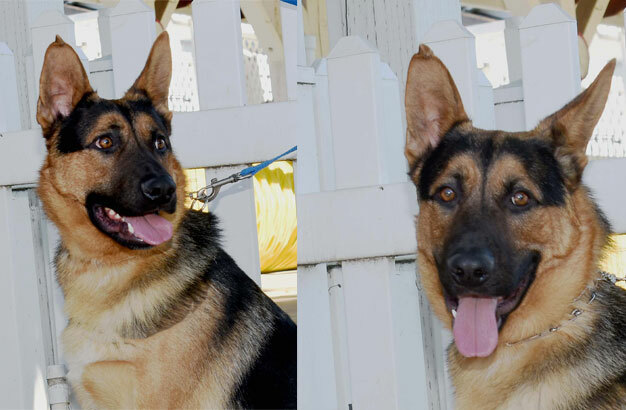 He is looking for a home without small children as he is not used to them. An adult home or one with high school aged children would work better for John Snow. He is a quiet boy who is not happy as the center of the attention. He would rather quietly kick back and stay by your side. 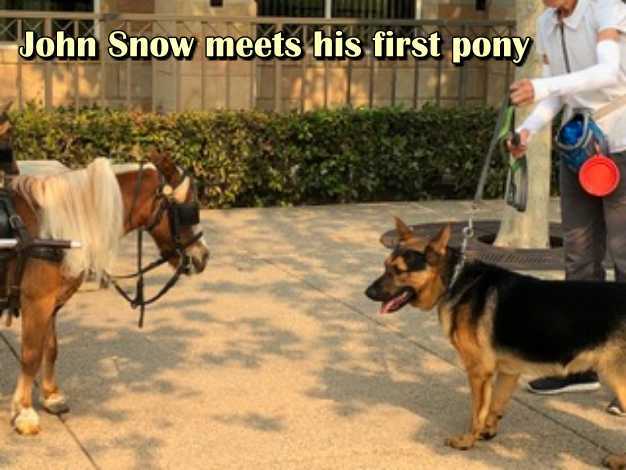 Recently, he met his very first pony – check out the photo of this meeting. He wasn’t exactly sure what to make of the pony. 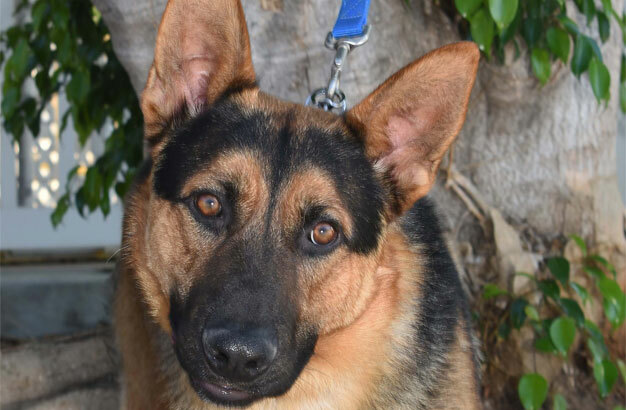 male If you would like to meet John Snow, please complete the online application and an adoption counselor will contact you.